The client was a first-time referral, and met with agent Jill Lawrence for the first time at the open house for the property. Due to the fact that there was a lot of interest in the house, Jill knew that she needed to act quickly to ensure that her client would be able to get the property of their dreams. Based on Jill’s knowledge of the real estate community and her relationship with the listing realtor, she was able to get her clients in the preview the house before anyone else, and put in the first offer. 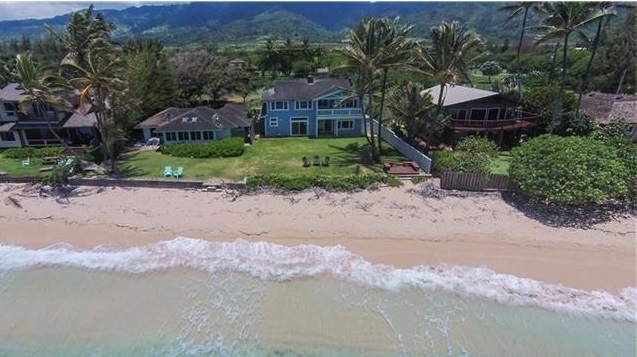 After some negotiations, the result was a successful closing of the North Shore beachfront property, and the client’s dream home and lifestyle became a reality. Interesting in finding your dream home? Call or text Jill Lawrence today (808)206-0539.